David offers over 40 years 'hands on' experience in the real estate industry and is the Proprietor of this business. 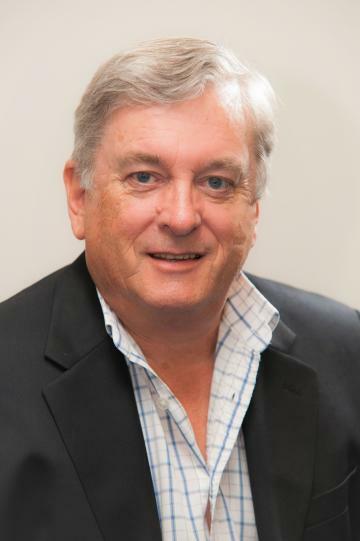 With vast knowledge in marketing residential, rural and lifestyle, commercial and industrial properties David's experience in unparrelled in the Blayney Shire. For 'no nonsense' advise contact David Kennedy. Located with prime exposure to the Mid Western Highway (Adelaide Street) in Blayney these unique business premises have been used as a Solicitors office for the whole of its 100 years. What an opportunity to take advantage of the sensational amount of goodwill accumulated over the last 100 years. Offering 2 privated offices, reception area, general office, kitchen, walk-in safe, storeroom, M&F toilets and a courtyard at the rear. INDUSTRIAL LAND WITH EXCELLENT HIGHWAY EXPOSURE! This premium 2509sqm of industrial land has both excellent highway exposure and access to the Mid Western Highway. Located just North of Blayney and only 30mins from the big regional centres of Bathurst & Orange and just under 3hours to Sydney. Has all infrastructure available to support an Industrial type of business. A must see opportunity! Enjoying a prime corner location a stones throw form the mid Western Highway this half acre fully developed site and ex builders offices, staff amenities, storage sheds, drive in and out, fuel bowser and tank. The offices are feature aircon. and excellent staff facilities with lunch room, showers. An additional concrete slab awaits further development. $125000 includes GST. This is only land value!! A skip and jump to Centrepoint, both state schools and easy stroll to shopping. THis superbly located family style home offers an ideal opportunity for both first home buyers and investors alike. Priced to sell the home offers 3 good sized bedrooms (all builtins); living room aircon, separate dining room, full sized bathroom & separate toilet, centrally located wood heater, larger style kitchen PLUS study or rumpus area PLUS enclosed verandah. RENOVATED AND READY TO SELL! A great street in a nice area and all the hard work has been done! You'll find plenty to like about this newly renovated 3 bedroom home including new paint, new floor-coverings and a new modern kitchen. Other great features include a huge family sized yard, outside entertaining area, attached garage and gas heating. Not much around at this price, whether you are looking for your first home or investment book your inspection today! Located in a quiet town location this large lock-up shed offers approx. 220m2 of floor area with container access and drive through facility. An office and toilet area are included. Would make ideal storage for boats, cars or building materials. Available vacant possession or leased. Leased for 12 months at $650pcm from 13/12/16. Ideally located opposite St George oval in quiet street and features 3 bedrooms (builtins in 2), open plan living/dining and kitchen area. The bathroom offers bath and separate shower. Outside there is a sizeable cubby house and double lock up colorbond shed. Priced to sell and will not last!! A delightfully renovated colonial period semi detached cottage centrally located adjacent to the shopping mall. Currently leased to an excellent tenant at $220pw it offers either a steady investment or an opportunity to use as business premises at a later date. Accommodation features two (2) living areas, 2 bedrooms plus study or office, modern kitchen. The corner location allows easy access to the lock up garage and enclosed rear yard. NEW ON THE MARKET AND WILL SELL QUICKLY AT THIS PRICE! Located on the very edge of Blayney this unique holding offers a larger 4 bedroom home (main ensuite), good sized living with separate dining. Also included in a self contained granny flat, large storage shed and workshop. The property is connected to town water and the B5 zoning offers much opportunity to combine the home with a business enterprise. Additional land is also available adjoining this - call David Kennedy 6368 4111 for full details. A fully serviced (water, power, sewer, ready for connection) 2693m2 vacant block located on the entrance to Blayney. The B5 zoning offers the opportunity to develop many options. The Vendors have instructed a "clearance sale" at below development cost and this simply offers you a great big bargain. For full details and copy of plan contact David Kennedy on 6368 4111. This well loved home offers 4 bedrooms (main ensuite), lounge room, dining room PLUS a separate TV room adjoining the kitchen and family dining area. It also features ducted gas heating, an airconditioner,lock up garage and carport. The rear yard area has a full length patio ideal for sunny afternoon BBQ's. 6 OR 12 MONTH LEASE AVAILABLE. A large well located home with 3 bedroom plus study, big lounge and separate dining. The kitchen is renovated, there is gas heating, a double sized lockup garage plus storage room. This home has new carpet in all bedrooms, new roller blinds on every window and new paint in various rooms of the house. The property is for sale but we can offer an initial 6 month tenancy with carryover. This is a steal at $250 per week. Agent references preferred. Available immediately! Located in a quiet town location this large lock-up shed offers approx. 220m2 of floor area with container access and drivethrough facility. An office and toilet area are included. Would make ideal storage for boats, cars or building materials. We have for lease this great 3 bedroom perfect for small children and pets. The main bedroom has built-ins, and the living room has an area perfect for a study, eating or play. Outdoor entertainment is easy with a great spot out the back that can be closed off to keep kids and pets away from the BBQ. The garden shed and single lock up garage are perfect for the handyman with tools, while the yard and garden are ideal for those with minimal time on their hands. $245 per week, call Jess or drop by the office to book a viewing appointment today! Centrally located within easy walk of everything, this large older style home with loads of character offers outstanding value for money. This home offers 4 good sized bedrooms, lounge, eat in kitchen and rear BBQ patio. There is a carport and lock up garage, an enormous yard area with pergola covered outdoor area, and R/C air con. All of this comes at a steal value of $265pw! Available after 31/08/18. Agent references preferred. We have for lease this recently refurbished 3 bedroom home with huge backyard perfect for the kids to run around in. The house features new paint and carpets, along with a modern kitchen, beautiful polished floorboards, wood heating, built-ins and ceiling fans in every bedroom. The laundry is modern and also has a large built-in meaning plenty of room for linen. Outdoor entertainment is not a problem with a good sized verandah, rear BBQ area and double lock up garage. Pets are subject to application. This property is amazing value at only $240 per week. To apply please phone Jess at the office or drop by to make an appointment. Superbly presented architecturally designed home located in new estate area and comprising 4 bedrooms (main ensuite), extra large living and dining areas, gourmet style kitchen, ducted gas heating throughout. Internal access from double remote garage, all bedrooms contain built-ins. Family area opens to a very large and kiddy safe rear yard. Agent references essential. Available for lease is this newly refurbished 3 bedroom brick home on Charles Street. This property features 3 bedrooms, built-in wardrobes, modern 3 way bathroom with ensuite style access, single lock up garage with internal access and fully enclosed low-maintenace yard. This property is not expected to last long- so be quick and book a viewing appointment today! We have for lease this quaint and homely 2 bedroom cottage with single lock up garage on quiet street. You will be impressed by the stylish yet simplistic internal design and functional open plan. This home features gas heating, R/C Air con, new carpet in both bedrooms as well as wardrobes and a recently refurbished kitchen. This property has a large fully enclosed low-maintenance backyard perfect for the kids to run around in. The back porch is ideal for BBQ's and outdoor entertaining, while the single lock up garage offers extra room for storage. This is a great price at only $220 per week, so book a viewing appointment today! Neat as a button throughout with a new kitchen with dishwasher, fresh paint and buitins in bedroom 1 & 2. Features 3 bedrooms, living room with gas heater, large eat-in kitchen, lock up garage and storeroom plus garden shed. Owner will allow outside pets. Great value and you will be impressed by the clean presentation. I would like to personally recommend Kennedy real estate with any real estate needs. Not only were Kennedy Real Estate (Property Manager Ms Jess Walkerden) professionally managing my investment property. I also approached the firm as I am considering a change of career after 25 years in the nursing field. I was given fantastic advice from both Owner/Proprietor Mr David Kennedy and Property Manager Ms Jess Walkerden on the heads up of the best pathway to pursue a career in real estate. And I could not forget sales manager Mr Don Humphris on his dogged pursuit of an appropriate investment property for me.